Home / About Us / Meet Our Physicians / Stephanie Schmidt, M.D. Dr. Stephanie Schmidt earned her undergraduate degree from Boston University and her medical degree from New York Medical College. 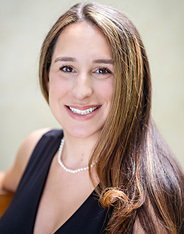 Following completion of her residency in Family Medicine at the University of Connecticut, she completed her fellowship in Primary Care Sports Medicine at Christiana Care Health System in Delaware. She specializes in treatment and management of various nonoperative musculoskeletal conditions and injuries, including fracture care. In addition, she performs ultrasound guided procedures including joint and tendon injections. She also serves as one of the Primary Care Sports Medicine team physicians for Wesleyan University. In her free time, Dr. Schmidt enjoys running, hiking, road cycling, mountain biking, and spending time with her family.